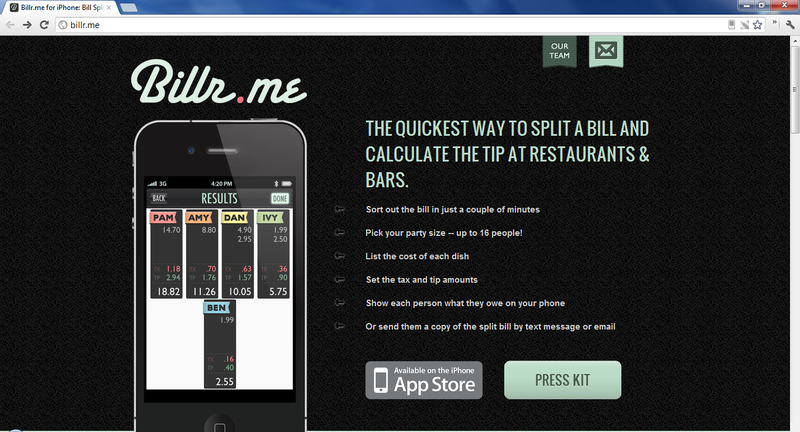 Billr for iOS allows you to quickly split up a bill. When your bill arrives simply open the app and select the number of people in your party and assign the cost of each dish or drink per person. You then add the tax and tip percentages which are proportionately divvied up based each individual's food/drink totals. The final bill amounts can be sent by text, email, or viewed on the app.